The National Park Service celebrated its 100th anniversary in 2016. Colorado has dozens of ways to discover federal lands across the state, including four national parks, eight national monuments, 11 national forests, three national historic sites, two national grasslands and so much more. From plains to peaks and mesas, national parks and other federal lands span Colorado's vast and varied landscape. Make a checklist to experience as many of them as you can during the National Park Service's Centennial year, when many locations will hold special events to recognize "America's Best Idea." 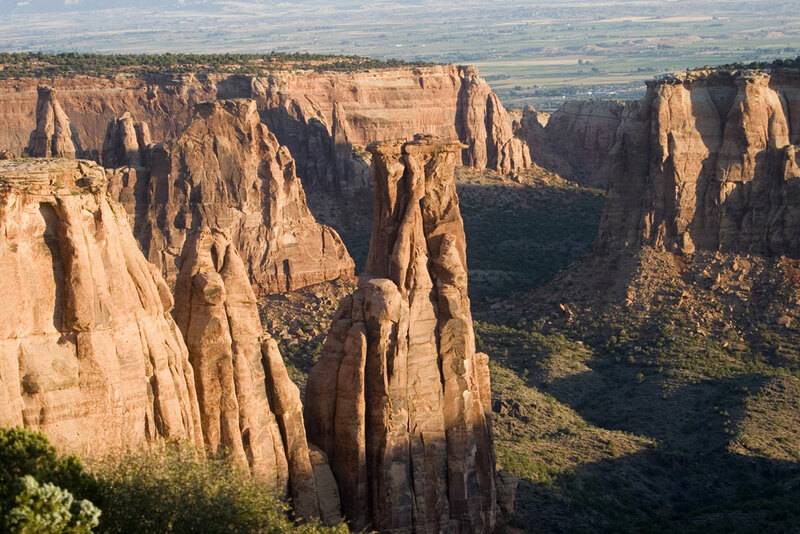 For an overview, read our Quick Guide to Colorado's National Parks, Quick Guide to Colorado's National Monuments and Fun Facts About Our National Parks. Colorado's four national parks are some of the state's most popular destinations, with activities and programs running year-round. Here are some trip ideas and resources to get your started. Our eight national monuments give a glimpse into ancient history and some of the state's best recreational areas. The eastern half of Colorado stretches out into the Great Plains, full of peaceful vistas and pioneer history. Eight wildlife refuges across the state protect species and eco systems; many have programs and events to help visitors learn more. Recognizing historical eras and events in Colorado, these two sites are packed with stories. Managed by the Bureau of Land Management, these remote and incredibly scenic areas are some of the most vast federal lands — and Colorado is home to three of the nation's 12 NCAs. Eleven national forests cover the state's mountainous western half, hotbeds of activities for camping, hiking, snowshoeing, snowmobiling and much more. Two NRAs blanket parts of Colorado's eastern half, filled with even more opportunities to commune with nature. Five of the nation's national historic trails run through Colorado, all of which played parts in the country's westward expansion. A whopping 44 national wilderness areas cover Colorado from north to south.